Marion County (pop. 903,393) is west of Hancock County. 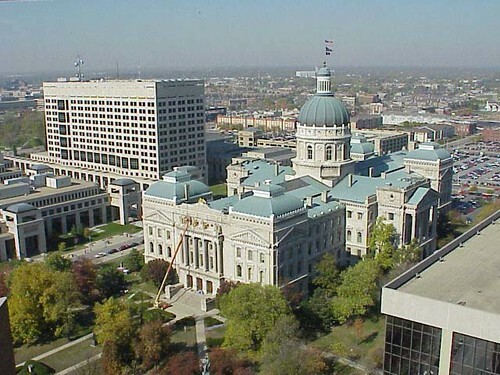 The largest county (by population) in Indiana, it’s had a consolidated city-county government with Indianapolis, called Unigov, since 1970. Indianapolis (pop. 820,445) is both the state capital and the county seat. 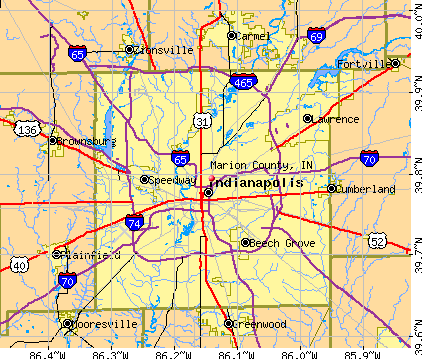 More interstate highways intersect in Indianapolis than in any other city. The 284-foot Soldiers’ and Sailors’ Monument, in Monument Circle, was built in 1902. The observation level is 330 steps up. 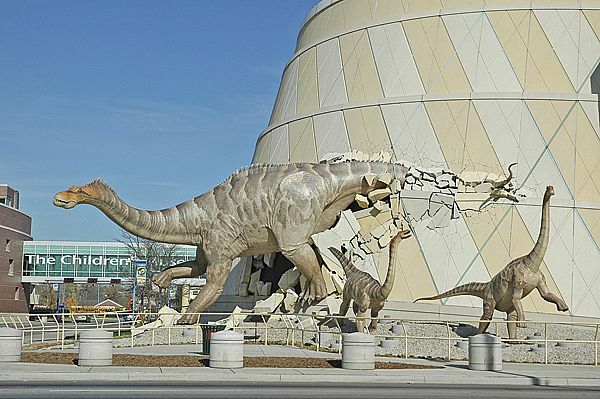 The Children’s Museum of Indianapolis is the world’s largest museum for children. Author Kurt Vonnegut (1922-2007) was born in Indianapolis and grew up there. He attended Cornell University after graduating from high school. Author Booth Tarkington (1869-1946) was also from Indianapolis. 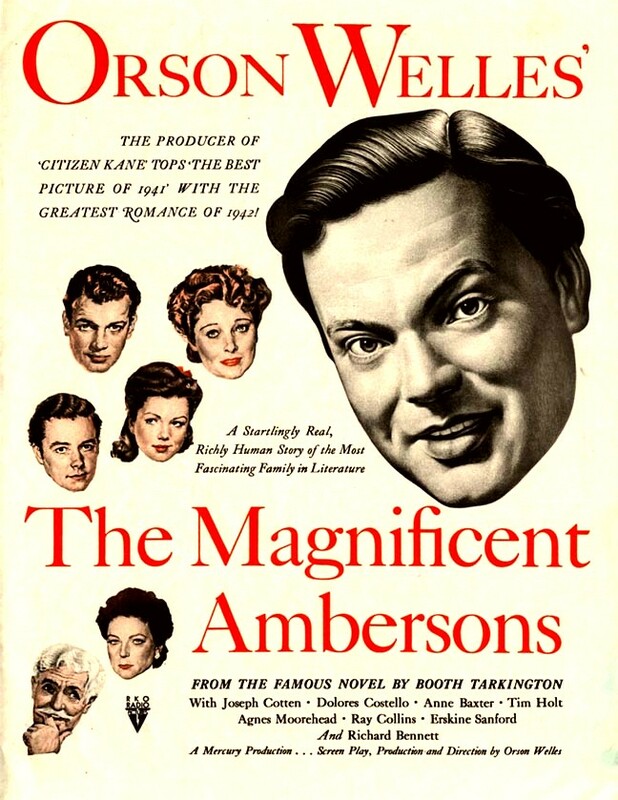 His 1918 novel “The Magnificent Ambersons” was largely set in the then-exclusive Woodruff Place neighborhood, just east of downtown. The movie came out in 1942. Indianapolis Union Station (1888) now contains a hotel, a charter school, several offices, and a small Amtrak station. The Grand Hall is rented out for special events. A downtown statue of Indiana-born basketball coach John Wooden has been informally called “The Coach of the Leg Lamps,” because of its disembodied legs of basketball players. Indianapolis is not only the home of the Indianapolis 500 auto race; it’s also the home of the National Collegiate Athletic Association. Indiana University-Purdue University Indianapolis belongs to the university systems of both Indiana University and Purdue. Action Duckpin Bowl and Atomic Bowl Duckpin, both in the Fountain Square Theatre Building, are the only duckpin bowling alleys in the Midwest. The Pyramids are three 11-story pyramid-shaped office buildings, located north of downtown. 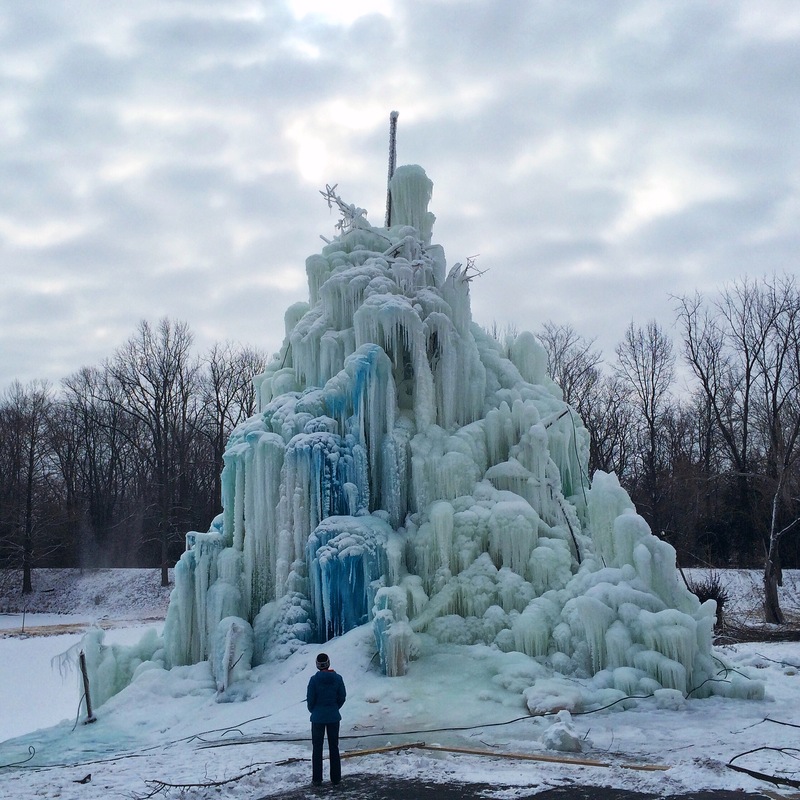 The community of Acton, in Marion County’s southeastern corner, has a seasonal attraction called Veal’s Ice Tree – a structure covered in winter with colored water. This entry was posted in Indiana and tagged Booth Tarkington, Children's Museum of Indianapolis, duckpin bowling, Indianapolis, IUPUI, John Wooden, Kurt Vonnegut, Monument Circle, NCAA, Veal's Ice Tree.